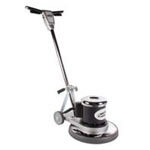 The Tornado 17" battery-operated floor glazer buffing machine offers a great way to clean and polish your floors even while customers are shopping or patients are sleeping. Ultra quiet at 59 decibels, it's perfect for daytime operations. The on-board battery charger allows you to charge up the internal eco-friendly gel batteries for a full 2 hours of operation. 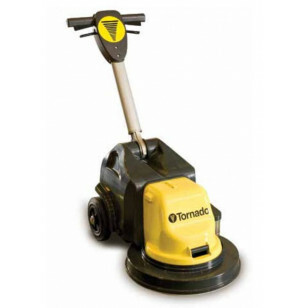 Within those 2 hours of operation your can easily clean a 15,000 square foot facility. Our battery powered high speed burnishers are capable of cleaning the largest possible areas with the smallest amount of effort. The Tornado Battery Glazer has many eco-friendly green features that will meet any LEED standard in your work place or facility. LEED stands for Leadership in Energy and Environmental Design, and is a green building certification program that recognizes best-in-class building strategies and practices. To receive LEED certification, building projects satisfy prerequisites and earn points to achieve different levels of certification. Prerequisites and credits differ for each rating system, and teams choose the best fit for their project. Unbelievably whisper quiet 59 dBA! Would you recommend this product to a friend? Never!